I don't know if these pics have been posted or not but if you go to the following Instagram sites you can see close-ups of Prince Louis and see that he has been photo shopped to look like Kate... He looks NOTHING like her. in fact, he looks the most ethnic of all the sprogs!!! He's HUGE! and a cutie, too, just like George and Charlotte. 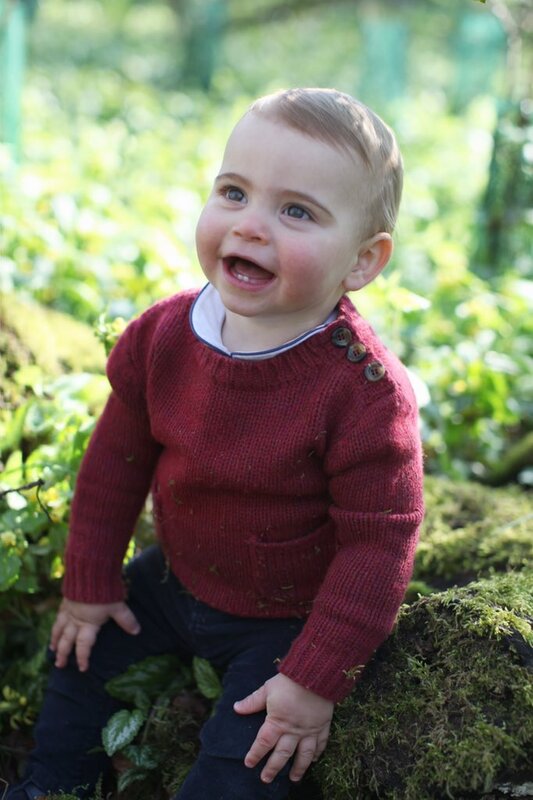 "The Duke and Duchess of Cambridge are delighted to share three new photographs of Prince Louis ahead of his first birthday tomorrow. The photographs were taken earlier this month by The Duchess at their home in Norfolk." I swear all 3 Camb sprogs are little Midds! Louis is the cutest at this stage. He's a total little Kate! 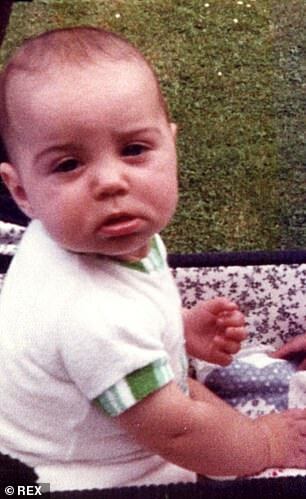 "Spitting image: The prince bears a striking resemblance to mother Kate as a baby, in 1982. 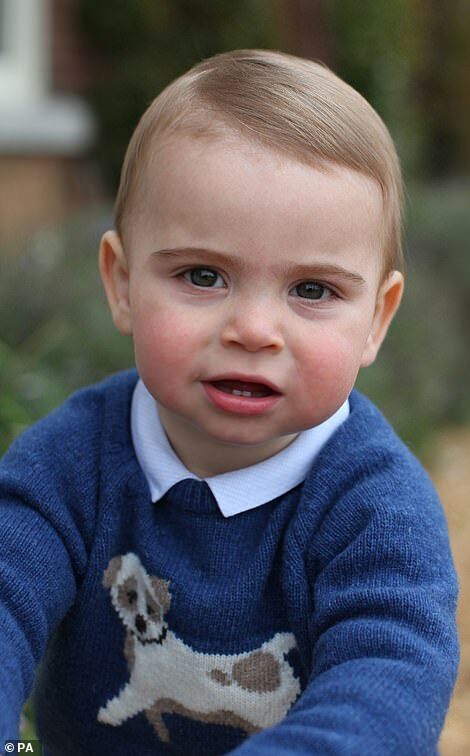 The Cambridge family will be spending the little prince’s birthday privately at Kensington Palace"
"Prince Louis, pictured left earlier this month in Norfolk, is the spitting image of his mother Kate Middleton when she was the same age"
He looks like Charlotte too. Agree from 3 Midd-Wndsor kids he looks the best at this age. He has a very expressive face. Louis is very cute. Love the teeth! He has William's shaped eyes, but the Middleton colour I think, and the nose looks like George's did. Lovely photos! Very cute kid. I think he might end up looking like Charlotte/William in my opinion. All the children were cute at that age. Louis is very cute and has a gorgeous smile. He is all Middleton. Period. In his doggy jumper, Louis looks like James Middleton. The three children are certainly Middleton; the Windsor genes have scuttled orf! ^Not totally. Their face shaping of the cheeks is William, or Windsor as well because Beatrice has them as well. Cute pics. The children all seem very happy. I read that too and thought, seriously, the Queen?! I'm surprised they didn't say he looks like Diana. Louis looks like his mother, even at the Christening he did to me. I still can't tell who Prince Geo looks like, people say maternal grandfather and I still don't see it. 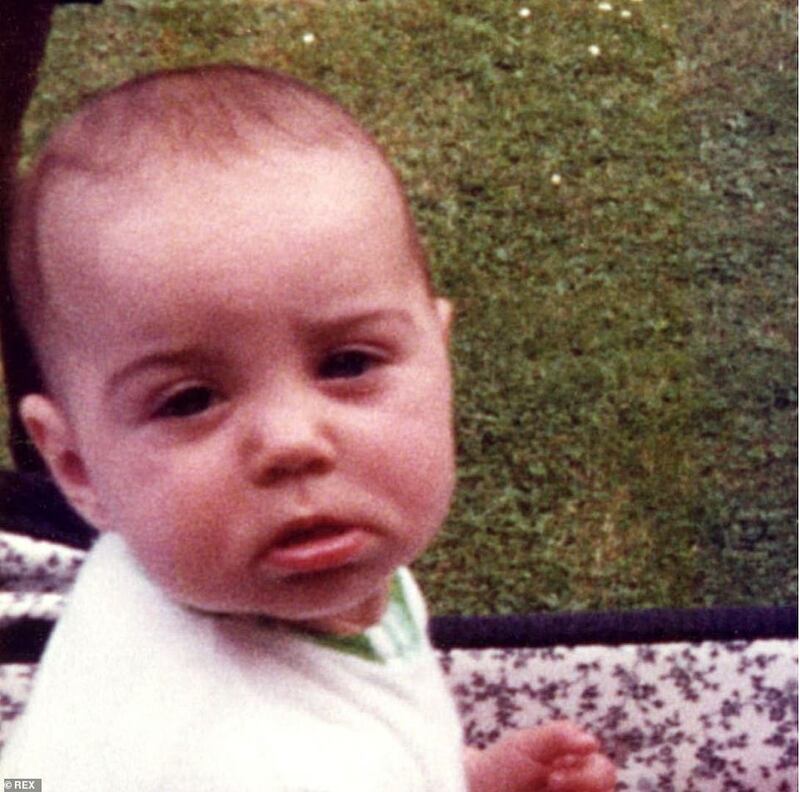 As Charlotte gets older, she looks like William to me. It's going to be a joy to watch them grow up as we have grown up with William and Harry. Why does the DM spoil a nice story with the alleged "rift" just take it at face value that Meghan and Harry wish their nephew happy birthday and leave out the R word. I think their comment was highly inappropriate. Firstly, it's PRINCE Louis, not just 'Louis'. This is a public royal instagram account, not a family birthday card. Secondly, the 'xo' comment is tacky and unprofessional. Their comment left a less professional, more personal flavour. I find nothing wrong with that. There's a difference between being personal and using 'xo' and disrespecting more senior members of the RF. 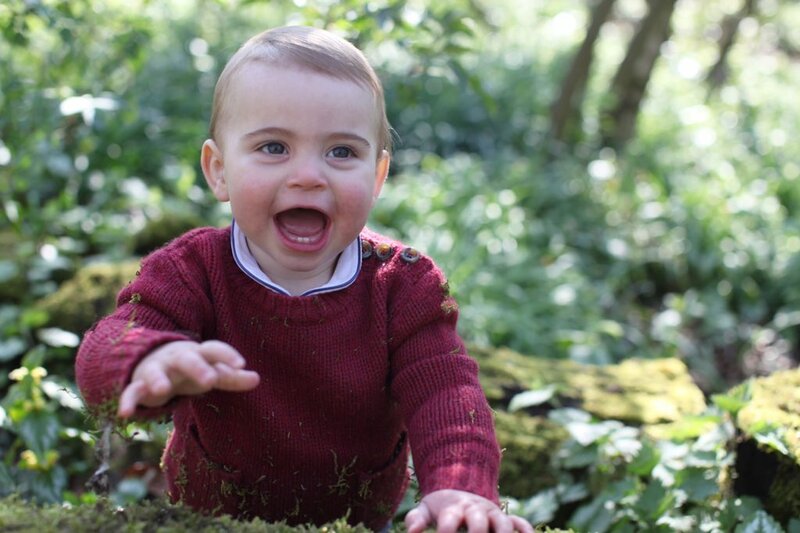 Prince Louis is adorable! Unfortunately, he looks photo shopped to look like KM. The three sprogs sure are cuties! So many rude comments about him everywhere and that he has the same large ugly mouth as Kate. It’s surprising they are printed.